This past weekend, on- and off-campus, included a variety of activities for Family Weekend and Tribe of Vikings. It was full and rich weekend of engagement. Everywhere I looked I saw the best of Augustana College on display. Despite the heat and awful humidity, we hosted hundreds happy family members on campus. Late on Saturday afternoon, when I saw Kelly Noack, who does much of the planning together for Family weekend, I was thrilled to hear her say that she was interacting with very happy family throughout the day. Her comments are a great re-affirmation of a recruitment job well done. And, now, we have the opportunity to continue to build on that momentum. Also on Saturday, I had the opportunity to play golf at TPC Deere Run as part of the Tribe of Viking Golf Outing (yes, I paid my own registration). I played with three guys (two are current parents) who played football at Augustana in the mid-1980s. It was a great time. I promised a “big number” and I delivered on it! Actually, it was a scramble, which made it possible for me to contribute a shot or two along the way. This was the first time I’ve played in the ToV golf outing and it won’t be the last. The only disappointment (other than the Viking’s loss) over the weekend was hearing from an alum whose son attended Washington University and played football there. This alum was disappointed his son had never been contacted by Augustana during the recruitment process. As an admissions guy, I was disappointed, too. I hate to hear stories of students we didn’t actively recruit. I could have done something about this if I’d known! As someone now responsible for external relations, I was doubly-disappointed, though. Looking back, we not only lost out on an exceptional student-athlete, but we also distanced an alum who has much to offer Augustana College. A weekend like this past weekend was a great reminder that everything we do is connected. When we are recruiting students we are directly involved in alumni relations. And, the interactions we have with out alums have a direct impact on recruitment. Pastor Sara Olsen-Smith’s sermon yesterday got me really thinking about a few things. But, in particular, her use of Teddy Roosevelt’s quote, “Comparison is the thief of joy,” hit hard. In higher education we spend considerable time benchmarking and comparing ourselves to so-called peers and aspirants. Whether a comparison is some sort of environmental scan or US News & World Report we always seem to be more concerned with comparing how we are doing to someone else, who we believe is doing much better. While I fully understand the need for comparisons and benchmarking, I do wonder if too much of this results in the work being joyless, rather than joy-filled? Perhaps this powerful sentiment can inspire taking stock of what is going well and celebrate it? There is so much good happening and there is so much good that we make happen. Let’s leave comparisons as contextual and not let them steal our joy. Applying behavioral science to student support services—The piece by Inside Track really caught my attention. Honestly, nearly everything they do catches my attention; I think they are doing some really amazing work within higher ed. While this piece is specifically about students services, I read with recruitment and fundraising in my mind. The behaviors described and the potential actions/solutions are applicable with prospective students and potential donors. When you read this think carefully about the constituency you work with most frequently and determine how you apply behavior science to moving people to actions you’ve like them to take. I think the element that appeals most to me is being proactive in identifying and solving problems. It reminds me that a leader’s job is to make sure that people don’t encounter a buzz saw!!! I think most team members will appreciate leadership that is aware of this responsibility!!! What do you think? Does Lai offer guidance you can follow? Or, are carrots and sticks still the most important tools in one’s leadership toolbox? I found a list last week that I’d never seen before. How about a list of majors that are the most meaningful? Seriously, Forbes posted The Most Meaningful Majors. I really like the list, which includes careers like pastoral ministry, counseling, music therapy and laboratory science. In each of these cases, these careers are not only meaningful to practitioners, but also to those who benefit from one’s career choice. As a Lutheran college that makes a lot of noise about “vocation” it would be worth thinking about our footprint in the meaningful majors space. (I also was drawn to this article because I think the stock photo they used include the Augie A—see below). P.S. If you know of someone who you think I should add to my distribution list, please let me know and I will gladly add them to the list. I try to get one of these out every Monday. At Augustana College we use a number of tools to track what people are saying, writing and blogging about the college. It’s helpful to know what’s out there, to track trends and celebrate good news or prepare for bad news. These tools track all sorts of things, and an alert I received today really got me thinking. Yesterday one of the alert services provided a link to a parent’s Facebook page on which Augustana was included. The parent had listed several other colleges and universities, too. The post, which I will paraphrase, includes a list of colleges this parent’s student is considering. Plus the post includes the academic and co-curricular interests of the student. It’s a fascinating list of colleges—ranging from the super-selective to the local public university. The list includes 20 colleges in Illinois, Indiana, Iowa, Ohio, Missouri, Tennessee, Kentucky and Wisconsin. Colleges range in size from 800 to 5,000. What is most interesting to me about the post, though, is that the parent asks for advice on how to decide, compare and even negotiate with colleges. Presumably, this parent is asking for advice from people who he trusts to be informed and have the best interest of his student in mind. However, the replies are what you might expect – both biased and anecdotally based. I am very tempted to follow the parent, so I could continue to monitor the post. I am curious to see if anyone makes a good case for Augie among those who post. I guess this really shouldn’t surprise me at all, considering how people use social media. But, this particular post may suggest a new way to gather information about colleges and the college search. It seems to me that discussions on comparing and negotiating with colleges were once reserved for the cocktail party circuit. These questions were reserved for close friends or those who one knew had recently navigated the process. These questions were held in reserve—somewhat like one’s voting preferences. However, this post suggests otherwise. While I know plenty of people who have queried their Facebook friends for dating, dining, vacation and voting advice, what do you think? Are you ready to ask for advice via Facebook about important issues, like your student’s college choice? Let me know what you think? Is social media the new cocktail party? I am member of the National Association for College Admissions Counseling (NACAC) and for the last ten days the organization’s listseve has run amuck with complaints about the evils of marketing in college admissions. Most often these complaint are aimed at colleges that use aggressive direct mail search campaigns and/or “fast application” programs (a.k.a. crap application in the college counseling community). These complaints blame college administrators, bond raters and the evil college marketing staffs. I guess these complaints are directed at me since I use some of the so-called aggressive—albeit in a quite targeted manner—search and applications tactics. I posted a blog around this time last year discussing this same topic, which you can read here. I feel like I need to seek therapy and take a shower each time I read one of these persistent complaints about my profession and what I do. (If you are interested in providing some therapy, let me know). The past few days as I read through these very public exchanges I was reminder of an essay I wrote several years ago after sitting through a NACAC session where all things marketing-oriented were lambasted. You can read “Souls for sale,” which appeared in Inside Higher Ed to get a better sense of from where I am coming on all this. Now, for all those who complain about modern day college admissions and marketing tactics that have emerged, I invite you to consider the points below. We actually believe in the institutions we represent! We don’t invest in marketing efforts—search, applications, publications advertising—because we are slick snake-oil salespeople. We don’t. We want to reach as many students as possible because we believe in the institution where we work. That’s the truth, friends. We engage in marketing not to trick students, but to introduce our institution and try to gain mindshare in a very competitive environment. In a day when information is more available than ever before, this is as noble as the good old day of attending every college fair possible to introduce our college to prospective students. This is the new norm. We are keenly aware of changes in behavior, demographics and values and are reacting to them. We are investing more in strategic marketing because the data are scary. Prospective students are scared of college costs, visiting fewer colleges, searching more online, relying more on word-of-mouth from peers, participating in the commodification culture, which views all college educations equally and without distinctions. It would be professional malpractice to know of these trends and do nothing about them. We are paid to get the name of our college in front of prospective students. And, yes, marketing and advertising has taken over for the high school visit and college fair or old. This is not exclusively because of colleges either—the effectiveness of visits and fairs is on the decline and virtually every admissions officer I know would say exactly the same thing. We really like being on lists—especially good ones like the ones in high school guidance offices. Colleges like being on lists, but not the ones you might be thinking about like US News. Nope. We like being on the lists high schools provide as part of their profile (their primary marketing and positioning material), which they provide to decision-makers and families to demonstrate how great they are at preparing students for admission to all the right colleges. Yes, there is pressure to be on those lists and we respond to that pressure. Travel is expensive and becoming more expensive and advertising has filled a void. In an effort to cut back on increased travel costs many of us have direct resources to advertising and marketing efforts. This has become particularly true in instances where we’ve been forced because of demographics to look beyond our core recruitment territories. Advertising and marketing in needed to introduce our colleges before traveling and engaging in more traditional recruitment and admissions activities. We can’t be blamed for reaching further afield in an effort to keep our colleges vibrant and fully enrolled. For the pure economists out there who think we should sit idly and watch only the strong survive, I don’t know what planet you are living on. Lunchroom visits, block scheduling and increased emphasis on challenging course loads results in seeing fewer students during high school visits. Traditional recruiting and admissions methods are nowhere near as effective as they were ten and twenty years ago because of changes (mostly good) in high schools. However, these changes have also had an impact on admissions staff productivity. Many colleges have weigh the pros and cons and have determined that the worth of traditional outreach is not once it once was and have opted to try to reach everyone in a region who is in their prospect pool through direct-marking efforts. Decreasing access to college counselors has forced us to spend more (and do more) on direct marketing to students. Across the nation there are fewer dedicated college counselors and as a result the special partnership between admissions and college counseling personnel is not what it once was. Many colleges have determined its more effective to reach out to students directly, rather work directly through counselors who are too frequently over-worked. This results in more aggressive tactics to get the attention of a student, since the benefit of the student to guidance counselor conversation is waning at too many places because a shortage of resources (this is a sad reality). Colleges are left to “fend for themselves” in the absence of their historical partners. Finally, I’ll offer some more personal observations from my seat at Augustana College. I know one universal truth about college admissions and that is that 100% of students who do not apply will not accepted and will not enroll. I believe in my institution and want as many qualified students as possible to have the benefit of working with our first-rate faculty and students and participating in the many transformative experienced offered here. However, I know we don’t always enjoy the name recognition to get great, qualified students who are a great match to apply. Sometimes we have to be more assertive to get them into our pool just to have a conversation and to convince them that we are the right place for them. I know that if I can’t get them to apply, I don’t have a chance. I do know that if they do apply, my chance of introducing them to this great place increases considerably. My institution’s alumni are passionate and want more students to know about us and ultimately attend and have the same kind of experience. There is pressure from passionate alums who have gone on to do great things who expect my institution to be in “the national conversation” because they’ve become national leaders in their professions. I have to respond to this pressure by doing my best to get my institution into the national conversation. We work our tails off to do this because of the passion our alums have for this place. Their passion is genuine and deserving of our best effort to market their successes and the college, in general. Simply put, I have a professional obligation to explore every method possible to build on this passion and introduce it to prospective students in a very crowed marketplace. This isn’t slick; this is the challenge of today’s work. I called for a “truce” in “Souls for Sale,” but am not so sure the truce will ever be honored. Perhaps it’s better to just ask for a little respect for the work we do, the challenges we face, and the benefit of the doubt that our marketing is done with the best of intentions, rather than the worst. Historically, as many as 60% of Augustana’s students have come from Chicago and the collar counties. Why? We are a perfect distance for many of these students at 2 ½ to 3 hours from home and we enjoy a very strong reputation in the area, which is filled with many successful and loyal alumni. However, changing/shrinking demographics, aggressive outreach from out-of-state colleges (The Chicago Regional Representatives [CARR] has 90+ members) and an increasing number of students leaving the state for higher education have threatened Augustana’s favorable position in the Chicagoland Region. We can’t lose our core market and recently doubled down to protect, defend and expand our core market. 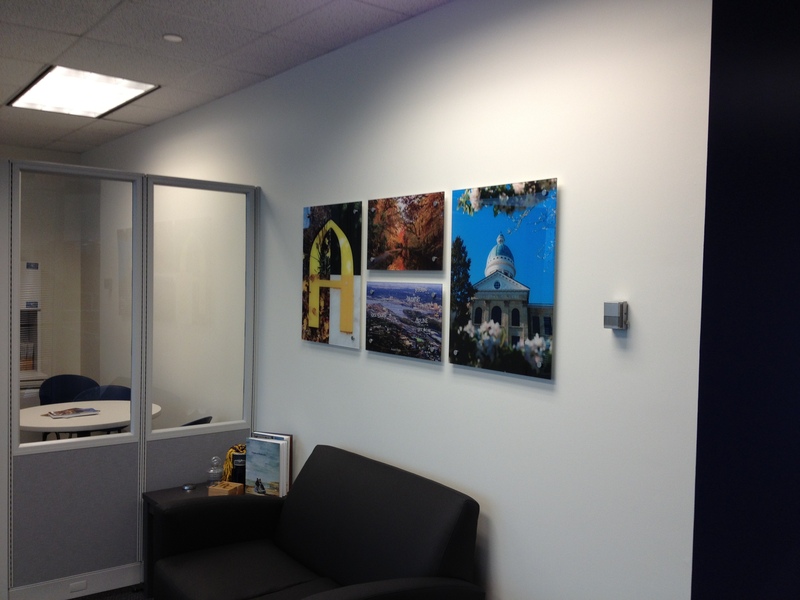 We’ve opened a satellite Office of Admissions 2 ½ hours from our campus. This decision has its origin in a position paper written in 2010 and gained momentum during a recent strategic planning process. “Strategic Imperative 2 of Affirm, Assure and Assess—Innovate recruitment and retention—describes the following strategic initiative: Sustain market share in our primary market by increasing multicultural recruitment and strengthening our presence and reputation in the Chicago area. On Sunday, December 2, Augustana College took an important step forward in fulfilling one of the objectives when we host our first official event (an opening event for prospective students and families) in our new Chicagoland Office of Admissions in Lombard, Illinois.. 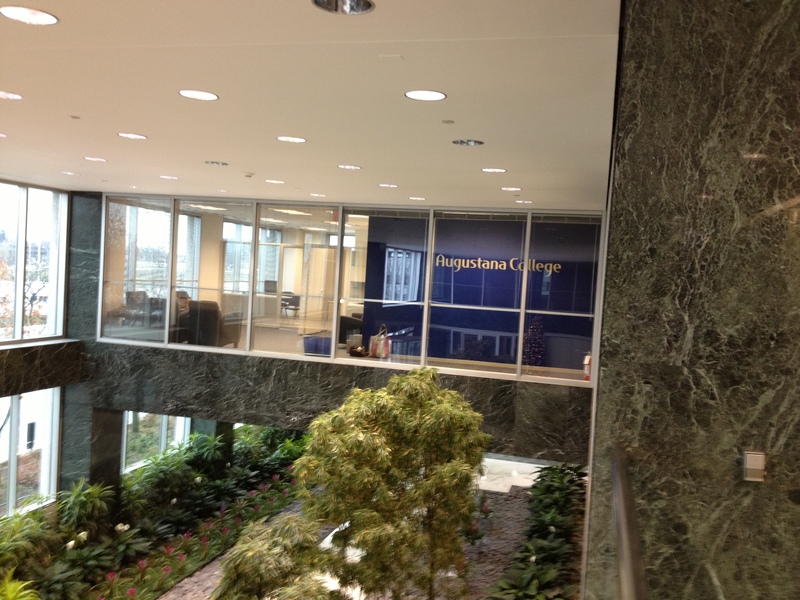 The Chicagoland Office is located at 377 Butterfield, Suite 201E in Lombard. The location is ideal. 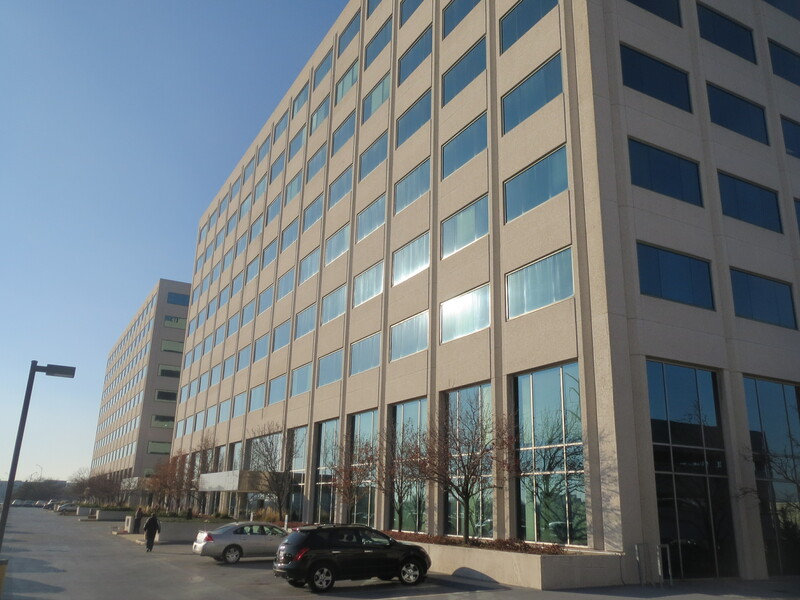 The office is easily accessible from I-88 and I-355. The office has two private offices, a small reception space, and a multipurpose meeting room that can accommodate meetings of six to 30 people. In addition, we have access to a large meeting room, which can accommodate up to 70 people. The office is staffed by two excellent admissions officers, Courtney Wallace and Jenna Muench (see “New Faces on Campus” in the September issue of Acknowledge), who will provide many of the same services to prospective students that are offered on campus. We’ve already experienced an increasing number of admissions interview requests from students who visited campus and had their interest piqued sufficiently to schedule an admissions interview “in their own backyard.” (I’ve included some photos at the bottom of this post). While the primary purpose of the Chicagoland Office is to serve prospective students in a manner similar to the Office of Admissions on campus, many others have expressed interest. Already, athletics has scheduled a number of events as well as personal meetings; career services and the internships office have plans to use the office for an information session; and the Office of Admissions will be hosting various outside groups including alumni and guidance counselors. We hope many on campus will think about ways the office can serve your needs and help serve our students. Given its ideal location and what it offers, the Chicagoland Office is an excellent option for focus groups, meetings with alumni, information sessions or meetings of colleagues from other regional colleges. The space could serve as an occasional class setting for a field trip to the area, too. In addition to doubling down in our core market, this strategic move has enabled us to reduce the number of staff managing and recruiting the Chicagloand area from 7 to 4, which provides staff with significantly more time to expand recruit of students from secondary and tertiary markets. This is one of the goals we had in mind from the beginning; we wanted to “shore up” our primary market by increasing the level of service and outreach offered by cutting back on travel time for counselors and prospects, and expand into new markets. Obviously I am very excited about this effort and will continue to keep you posted on what works and what doesn’t.